The nature of UN operational involvement in the practical management of conflict has evolved dramatically since the end of the Cold War. The post-Cold War liberation of the Security Council, the subsequent paralysis in its decision-making competence, and the apparent dilution of the concept of sovereignty as a prohibition on intervention have been principal factors in the evolving fortunes of UK peace-support operations. This evolving environment has had profound implications for the way in which the humanitarian community, the United Nations and military forces engaged under a UN flag have reacted to peace-support operations. 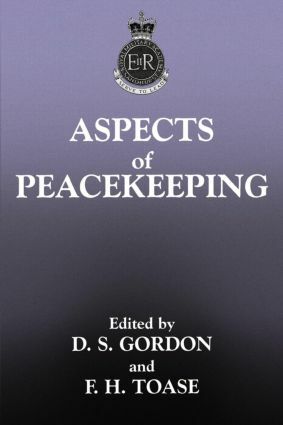 This book explores contemporary peace-support operations and examines many of the principal challenges that now confront those charged, in different ways, with bringing peace to war-torn societies. In particular, this volume looks at the evolving nature of military, UN and humanitarian non-governmental organization's intervention in these complex conflicts. It also explores how these organizations relate to one another and the way in which a division of labour is determined. Armed Protection for Humanitarian Action: What Are the Questions?